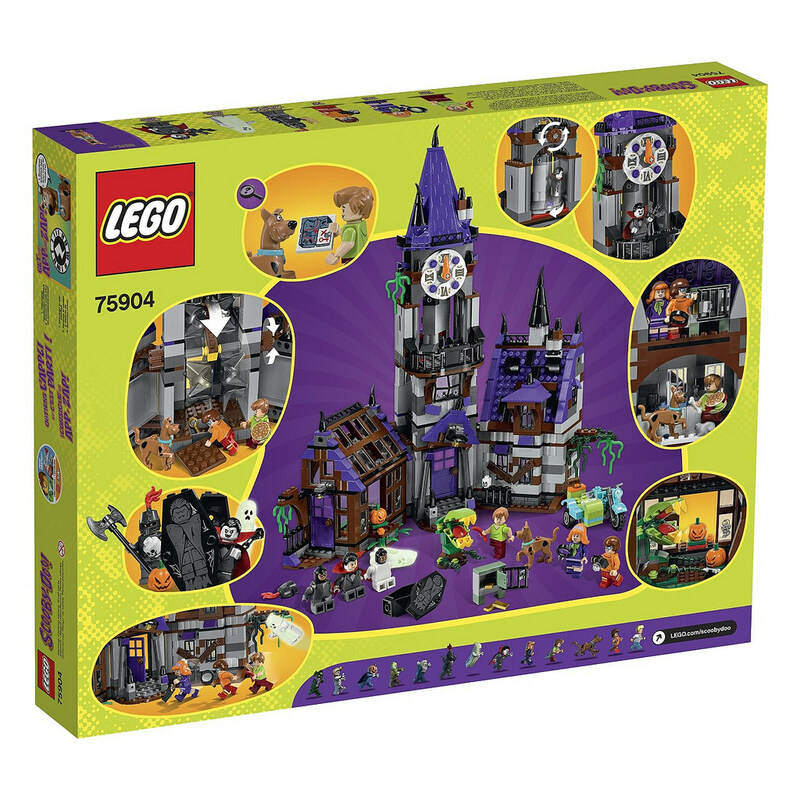 Finally to round up this first wave of sets, here at the price of $89.99 includes 860 pieces and a whopping seven minifigures between exclusive Velma followed by Daphne, Shaggy, Scooby, and three crooked criminals to catch with the Black Knight aka Mr. Wickles from the very first memorable episode that started it all "What a Night for a Knight", the Ghost aka Bluestone the Great from the first season's third episode "Hassle in the Castle", and then the Vampire aka "Big Bob" Oakley from season one's eleventh episode "A Gaggle of Galloping Ghosts". The mansion itself is a mix of different locales one of which could be the haunted mansion in the opening credits for the original show and a greenhouse section I can recall from an episode yet cannot remember the title of it for the life of me (and so far Google isn't helping any). Anyway although the manor is not specific to any one case from the series, the overall appearance and inclusion of so many main characters plus classic crooks all from the original first season make this the other 'must buy' along with The Mystery Machine I think. Haunted House is safe and maybe even goes up in value faster due to demand from the few AFOL who get pulled back in by scooby. I wouldn't have bought so many goshdarn VC. have a nice day. Stickers are PITA. Asked replacement sheet @ LEGO. Did notice a color difference in the larger brown pieces. Is it me or is this known? Out of curiosity, why did you ask for a replacement sheet of stickers? Do you think this set will do better than vampyre castle ? 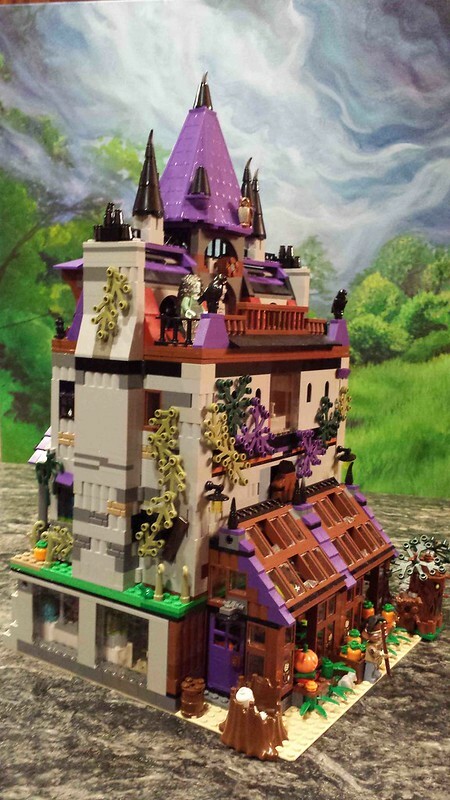 Mystery mansion will probably double in value once EOL but won't surpass vampire castle. That's awesome. Now, I want to see that person take it a step further....put all 5 Scooby sets into a single layout/theme. Anyone know bag count and weight on this? I got one delivered with seals on one side popped. 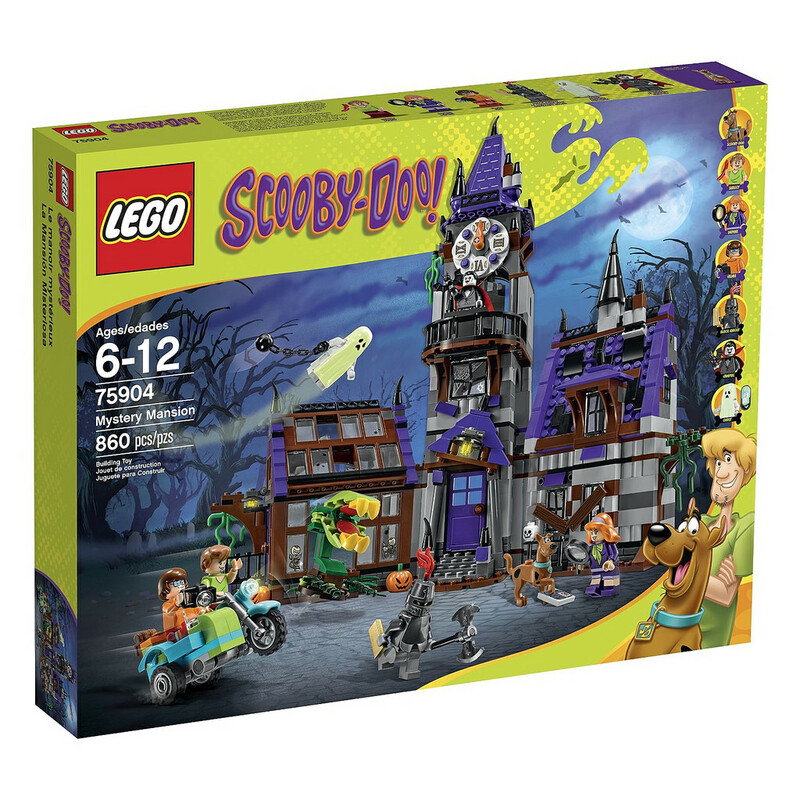 I agree this is a really nice set, but sales are not up to par for the whole Scooby Doo line I believe... Any chance they would retire this line still this year you believe? None of us really know how well any Lego them is selling let alone a specific set. Some folks here guess this theme was originally a 1 yr and done license. Judging my the sets some of us see consistently available, we can assume it's no longer in demand as before. However, the supply could still be smaller than other themes and perform well after retirement. 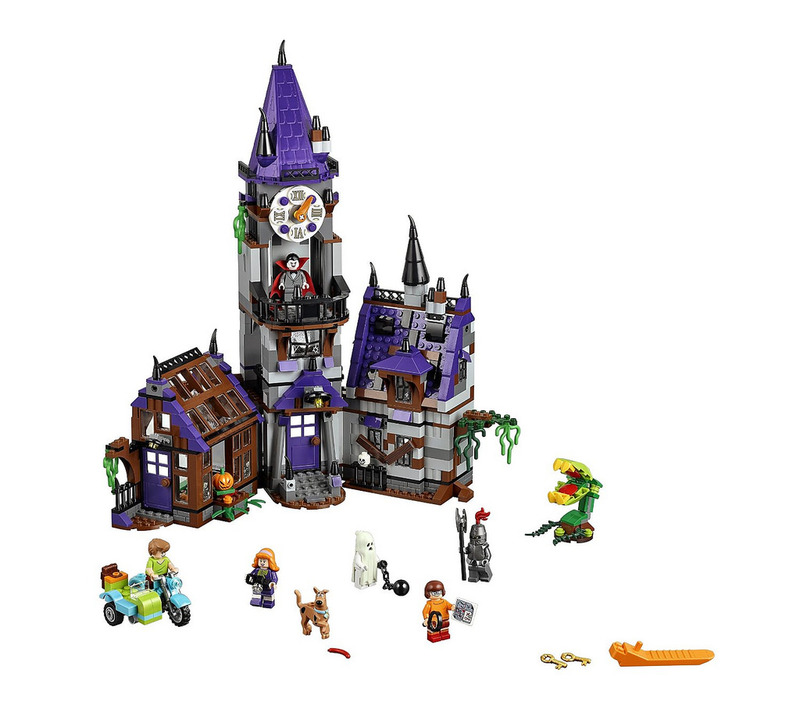 i would this set is def #2 in popularity due to Velma and the monsters. Can the topic of the thread be changed to "75904"? 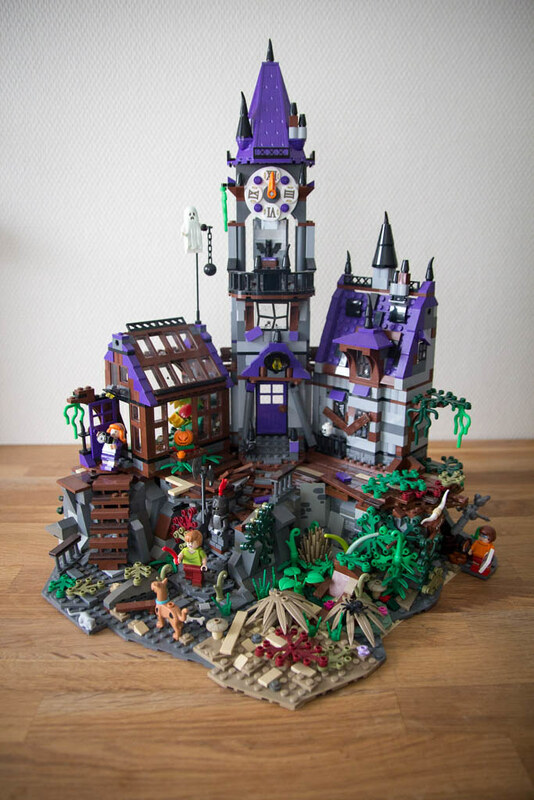 Has anybody seen a good MOC of this with 2+ sets made into a Modular-type building? I'd love to pick a few up on clearance and build a super-mansion. Mine didn't turn out quite that well, but I needed a place to park the Mystery Machine. I still need to add some tiles to the street in front, but it is a good addition to the scary section of my town. $75.99 at Toys R Us this week, just throwing that out there.